Whiskeymarie: I'm here, I'm just here elsewhere. So...if you want to hear my thoughts on uncircumcised penises, gravy, geography and road trips, pop on over to The Real Johnson, where I am guest posting today. Yes, I know I've been slacking on my duties here, but throw me a bone, will you? Go, read, leave a comment and astound Johnson with your own knowledge of his maple leaf-encrusted country. Plus, I love being the guest star in other people's lives, so stroke my ego a bit, OK? 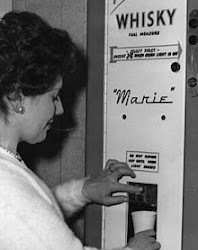 Recently I asked the hilarious and talented WhiskeyMarie if she'd be willing to do a guest post for my blog. Much to my excitement, she agreed and provided me with a summary of her vast knowledge of my fantastic country of origin, Canada. It was a remarkably accurate portrait of the Great White North, replete with mostly uncircumcised penises (meaning most of the penises here are uncircumcised, not that all the penises here are somehow partially circumcised; just to clarify), hash, poutine, and comedy troupes. Basically, if you've always wondered what Canada is like, but you're afraid to get recruited into some sort of toque-wearing socialist paradise, you could read her synopsis and get a real feeling for the country without ever visiting. 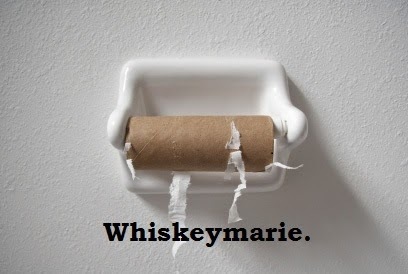 As a matter of fact, WhiskeyMarie was so on the money that it got me to thinking about her place of origin and how little I know about it. I'm not talking about the USA of course. In addition to the Snow Channel, Poutine News and The Gay Wedding Channel, most of us in Canada get all the same TV channels that you guys down south get, so we know virtually all there is to know about your country in general (Except the whole NASCAR thing. What is up with that?). No, I'm talking about Minnesota. It occurred to me that I know virtually nothing about Minnesota. At first I thought I had some knowledge of Minnesota; an accent, something about cheese; but then it occurred to me that all that “knowledge” was actually stuff I had gleaned from watching That 70s Show. Then of course I realized that That 70s Show actually takes place in Wisconsin, so I was back to square one. The Minnesota North Stars played there until 1993 when they moved to Dallas and became the Stars. In 2000, hockey returned to Minnesota when you got a new franchise, The Wild. This isn't related to Minnesota, but there are only three teams in the NHL whose nicknames aren't plural. The Wild is one. Can you name the two others? I can. Kirby Puckett had to retire because he went blind in one eye. The word Minnesota comes from the Dakota name for the Minnesota River: Mnisota. The root mni (also spelled mini or minne) means, "water". Mnisota can be translated as sky-tinted water or somewhat clouded water. OK, I admit it: I cheated. I had to look up the year The Wild joined the NHL. So, in honour of her exhaustive four trips to Canada (all to places I have never been and wouldn't choose to go to, by the way), I hereby endeavour to learn more about Minnesota. Also, rest-assured WhiskeyMarie: poutine with bacon is very much a reality. As are poutine with Montreal-style smoked meat, curry chicken poutine, and chipotle pulled-pork and Italian sausage poutine. Poutine purists may think it sacriledge, but all are readily available at Smokes Poutinerie (http://smokespoutinerie.com/main.html), where I am actually headed immediately after work. I estimate it's about a 20 hour drive from Northern Minnesota, but it might be worth it. Awesome! On my way to check it out! I think this guy knows more about MN sports than I do. Which, really, isn't that shocking. One is the Avalanche. I'm too lazy to try to think up the other. I drove across Canada once, but it was a really long time ago. Ditto for Minnesota. Fargo may be in North Dakota, but Minnesota brings us "Moorhead*". I, too, am honored to wander your blog, but I don't want to engage in any sort of exchanges with you - I know where you've been.